A very patriotic and inspiring poster realized by Phili (Philippe Grach - 1898-1987) during the German occupation of France (1944). Poster commissioned by the GPRF (the Provisory Government of the French Republic). The picture was made after a close up of the sculpture of the Marseillaise by the sculptor Francois Rude on the Arc de Triomphe in Paris. 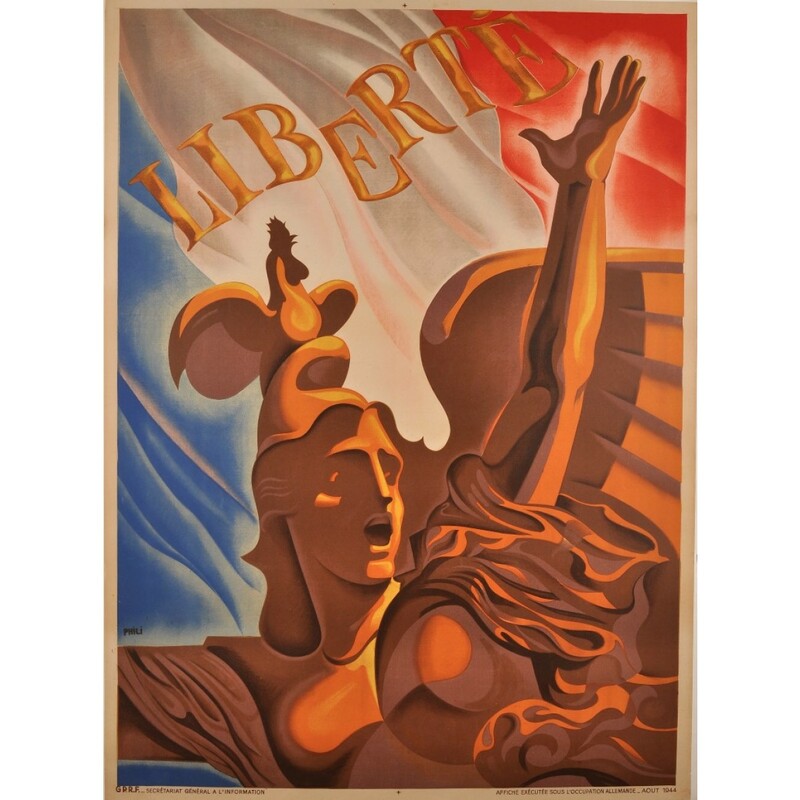 A very patriotic and inspiring poster realized by Phili (Philippe Grach - 1898-1987) during the German occupation of France (1944). 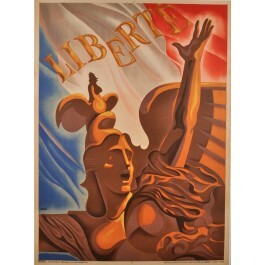 Poster commissioned by the GPRF (the Provisory Government of the French Republic). The picture was made after a close up of the sculpture of the Marseillaise by the sculptor François Rude on the Arc de Triomphe in Paris.